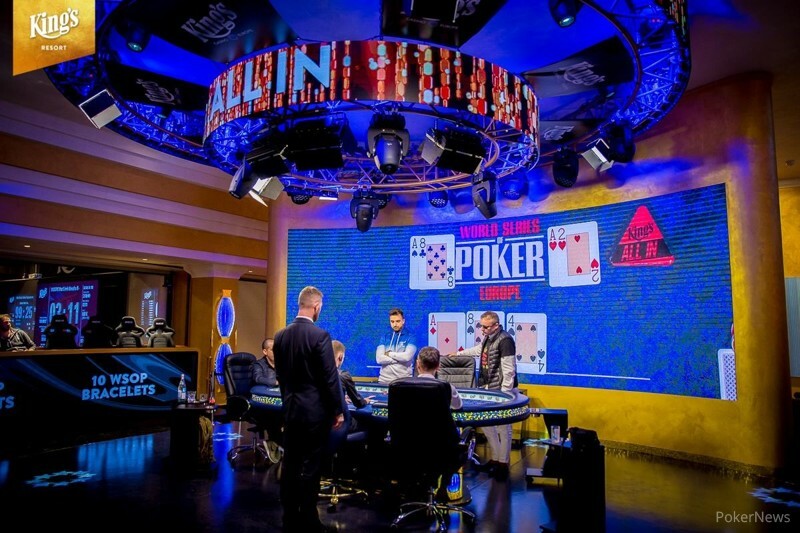 A loud scream by Adrian Buzan could be heard in the entire poker room and a few players from nearby tables glanced over to see what had happened. 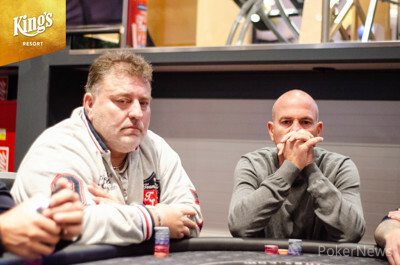 A three-way all in emerged on the turn with Roman Motovsky as shortest stack, Buzan as second-biggest stack and Pascal Reinhold with a mere 800 chips more. The on the river gave Buzan quads and was the reason for his excitement. Reinhold moved all in for the last four big blinds the very next hand and the big blind called with . Reinhold held but failed to hold up on the board .